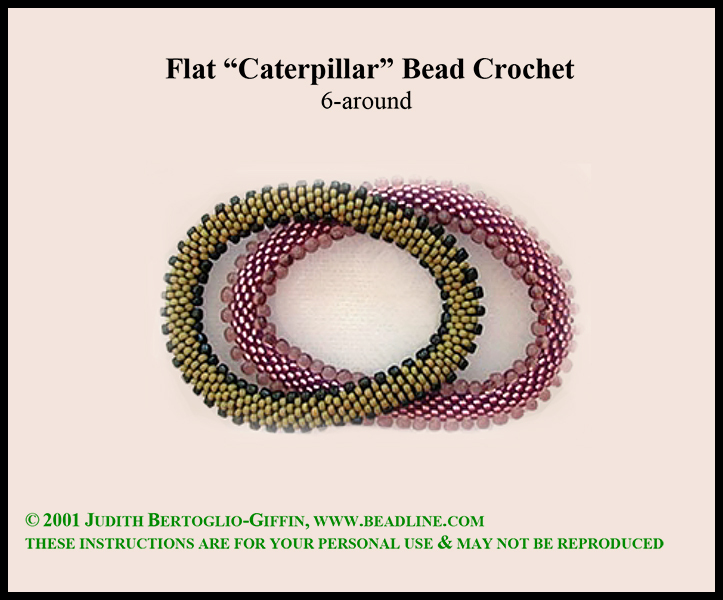 Something new in bead crochet bracelets. This pattern makes a rope that flattens out. The use of tiny drops in the edge remind me of caterpillars or even millipeads.